Professional Packing | Ship It! Proper packing is both a science and an art. 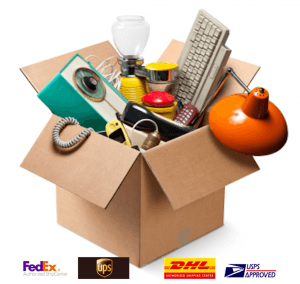 Let our staff professionally pack and ship your fragile, valuable, large, and awkward items-we treat them as if they were ours. We stock over 50 box sizes and keep plenty of peanuts, bubble-wrap, tape, specialty boxes (artwork, laptops, double-wall, etc.) and other packing materials on hand. We can even custom-make a box for those elk antlers or car bumpers. And our “Pro-Pack” guarantee gives you peace of mind to know that your items are packed to meet or exceed all carrier requirements. We offer carrier price comparisons so you can choose the best shipping option for your package. We can also pack your items with pre-paid shipping labels for UPS, Fed Ex, or USPS. Just bring your items in and let us take care of the rest!